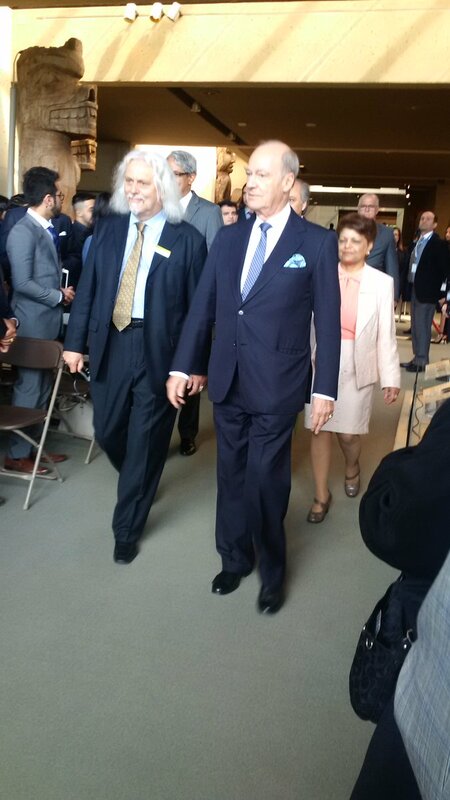 Prince Amyn was in Vancouver on 11 and 12 May to participate in the opening of a new exhibition at the University of British Columbia’s Museum of Anthropology. Traces of Words: Art and Calligraphy from Asia, is a showcase of varied forms of expression associated with writing and words throughout the continent from different periods. The exhibition includes three historical pieces from the Silk Road that were donated by the Ismaili community to the Museum of Anthropology in 2013 — a 19th Century incense set, a 17th Century ceramic dish containing Arabic script, and a 9th Century sheet from the Holy Quran. Dr Fuyubi Nakamura curated the exhibition with collaboration from the Aga Khan Museum in Toronto, which also lent two pieces of artwork from its own collection. Speaking to a crowd of approximately 1,800 guests at Thursday’s public exhibition kick off, Prince Amyn talked about the importance of the relationships that the Aga Khan Museum has with other museums, including the Louvre in France and the State Hermitage Museum in St Petersburg, Russia. Dr Anthony Shelton, Director of the Museum of Anthropology, said that he shared in Prince Amyn’s desire for a deeper relationship between the museums. Shelton presented Prince Amyn with two gifts: a halibut dish carved by First Nations’ artist Rupert Scow of the Kwicksuitaineuk, and six publications written on the Museum of Anthropology’s exhibitions. On Friday, Prince Amyn returned to the Museum of Anthropology to deliver a lecture on calligraphy. He observed that the Muslim tradition of calligraphy started with the earliest written versions of the Quran in the mid-seventh century. “From China to this country, from Russia to Africa, the widespread use of calligraphy still unites Muslims and visibly differentiates them from the followers of other religions,” continued Prince Amyn. 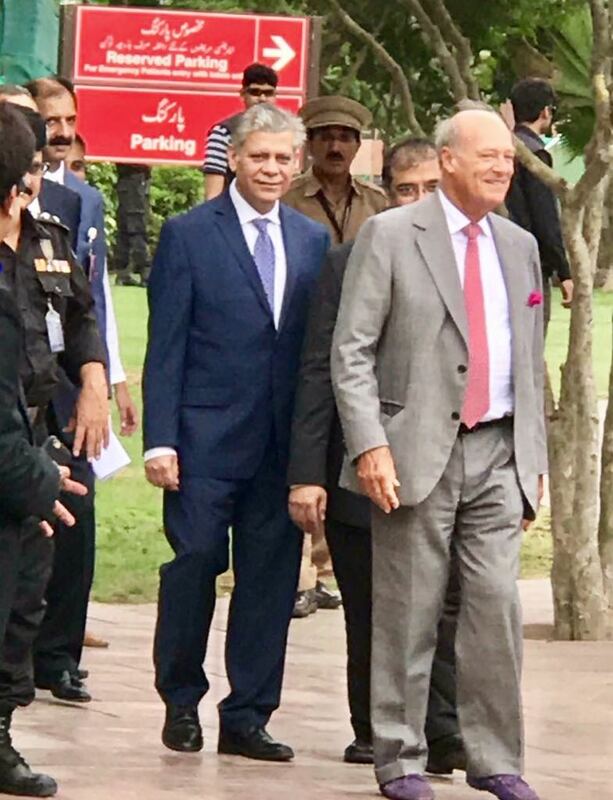 [b]Prince Amy Aga Khan visited AKU (Aga Khan University) in Karachi, Pakistan. 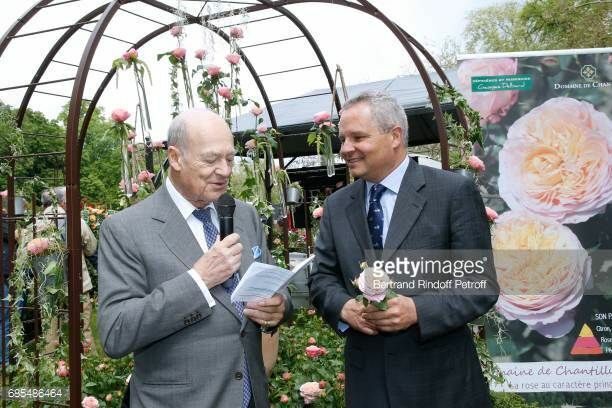 PORTRAIT - Paysagiste, mélomane et grand amateur d'art, le frère cadet de l'Aga Khan est à l'origine du transfert à Chantilly de la célèbre fête des plantes de Courson qui se déroule jusqu'à dimanche. 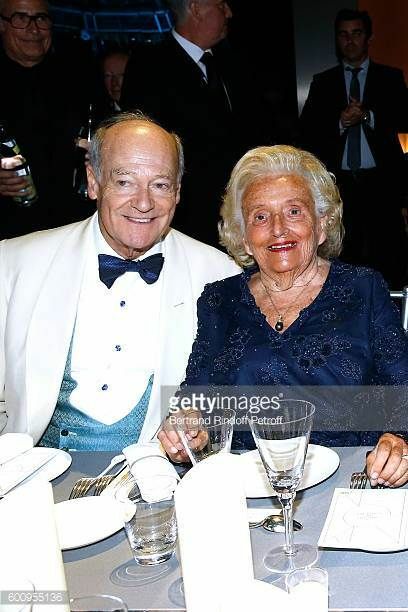 «Pourquoi ne viendriez-vous pas à Chantilly?» Lorsqu'il pose la question à Patrice Fustier, fondateur avec sa femme, Hélène, de la célèbre fête des plantes de Courson, le prince Amyn Aga Khan a droit à cette réponse enthousiaste: «Excellente idée!» Les deux hommes, membres du conseil d'administration de la Fondation pour la sauvegarde et le développement du Domaine de Chantilly, se connaissent bien et s'apprécient. 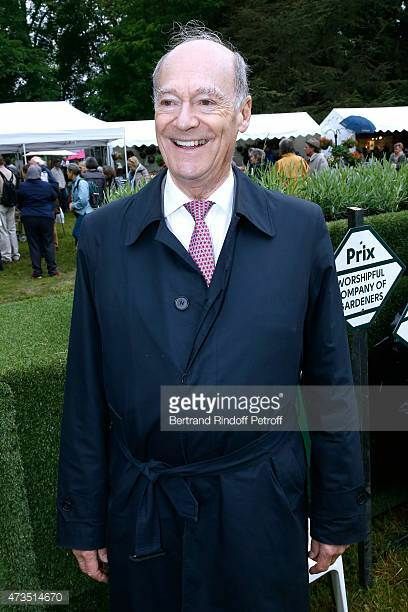 On September 10, Friends of the Domaine de Chantilly (FODC) hosted a memorable day at Chantilly, one of the most magnificent French heritage sites, located just 25 miles north of Paris. 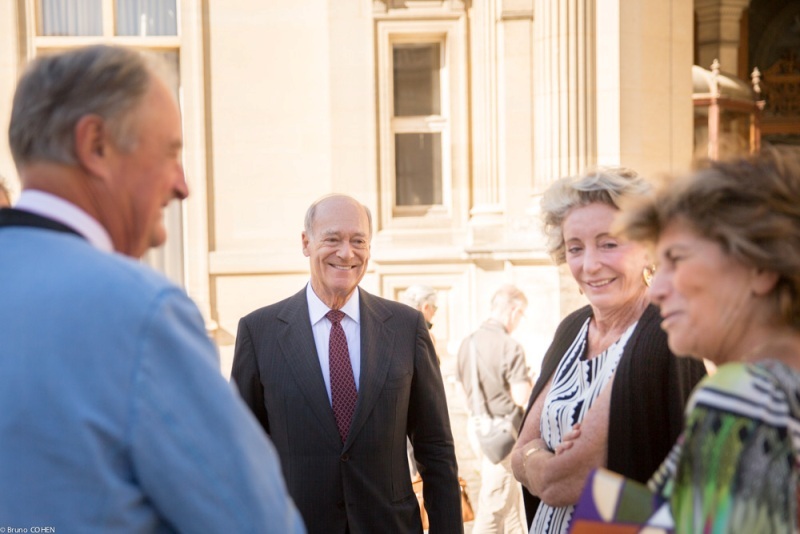 Prince Amyn Aga Khan, Chairman of FODC, welcomed guests upon their arrival and spoke at length about Chantilly’s rich history, unrivaled art collection, and beautiful gardens before leading everyone into the castle. 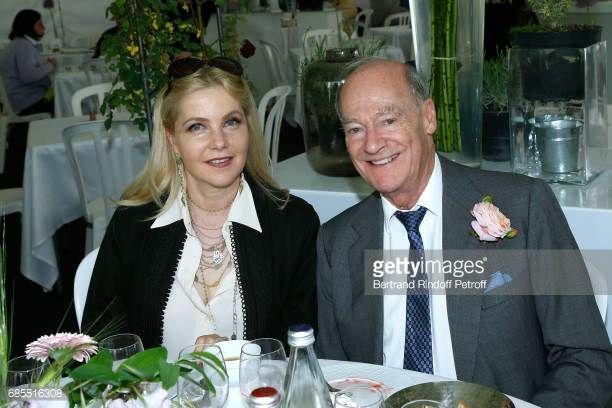 Among those in attendance were FODC Directors and advisors Nathalie Brunel, Betty Eveillard, Maryvonne Pinault, and Ann Nitze, as well as more than 60 of the most prominent art collectors, garden lovers, and Francophiles from both sides of the Atlantic. The morning began with a curator-led visit of the Château de Chantilly, home to one of the finest art collections in France. Guests toured the staterooms, including the famed Grande Singerie (Monkey Room) and private suites of the Princes of Condé, adorned with opulent examples of French decorative arts and showcasing the grandeur of aristocratic life. They also marveled at the paintings galleries, as the curators spoke to outstanding works from the permanent collection by Raphael, Botticelli, Watteau and more. The tour was highlighted by anecdotes regarding the former residents of the castle, the last of which was the Duke d’Aumale, son of the last King of France, who singlehandedly amassed the masterpieces that fill the galleries today. The morning also provided an exclusive opportunity to view drawings by Clouet, Michelangelo, Delacroix and many other European Old Masters up close in the Duke d’Aumale’s personal study, an area of the castle that is closed to the public. While these works are not currently on display, they will be far more accessible upon the creation of the new Gallery of Prints and Drawings, scheduled to open in spring 2017. 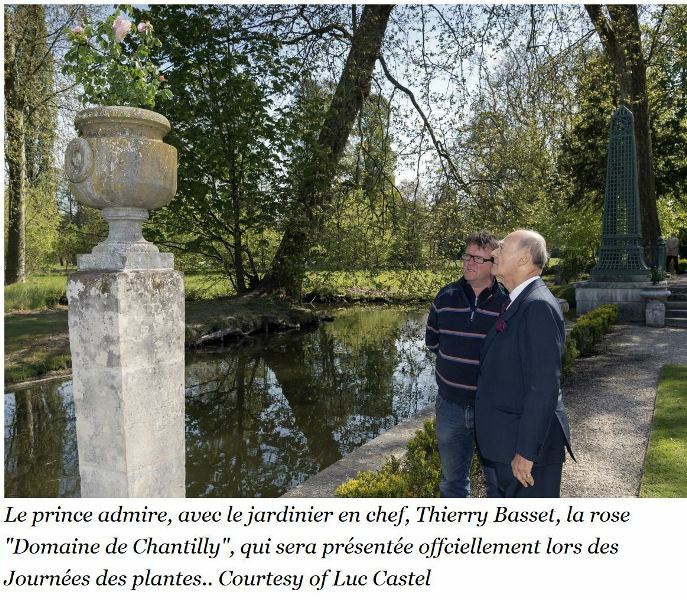 After a sneak-peek of the future Gallery, the group gathered just outside in the Volière garden, where Pierre-Antoine Gatier, chief architect for the Domaine de Chantilly, described the significance of the project and the progress underway. Adjacent to the Gallery of Prints and Drawings are the Duke and Duchess d’Aumale’s private suites, which are also undergoing restoration. These rooms represent an important component of an authentic, princely estate and are the only existing example of decorative arts and furnishings from the reign of King Louis-Philippe. Everyone was invited to adjourn for lunch at the Hameau, the rustic retreat that inspired Queen Marie-Antoinette at Versailles. Clément Leroy, newly-announced chef of FODC partner hotel Auberge du Jeu de Paume in Chantilly, designed delicious hors d’oeuvres for guests to enjoy upon arrival in the picturesque Anglo-Chinese gardens. A four-course traditional French meal followed inside the dining room, where the former Princes de Condé held extravagant festivities, and was topped off with tartes aux fruits – of course featuring our specialty, the famous Chantilly cream. After the luncheon, guests passed through the vast gardens, including those designed by the legendary André Le Nôtre, landscape architect to the King throughout the 17th century. The afternoon concluded with a private tour of the new exhibition Le Grand Condé: Rival of the Sun King? led by Mathieu Deldicque, who curated the show. It provided fascinating insight into the life of Prince Louis II de Bourbon-Condé, cousin to King Louis XIV and one of the most brilliant figures in 17th-century France – not to mention one of the Château de Chantilly’s most notable former inhabitants. Over 120 works were assembled for this ambitious show, which together paints a vivid portrait of a man who challenged his royal cousin both in military prowess and artistic legacy, which is manifested in Chantilly today. 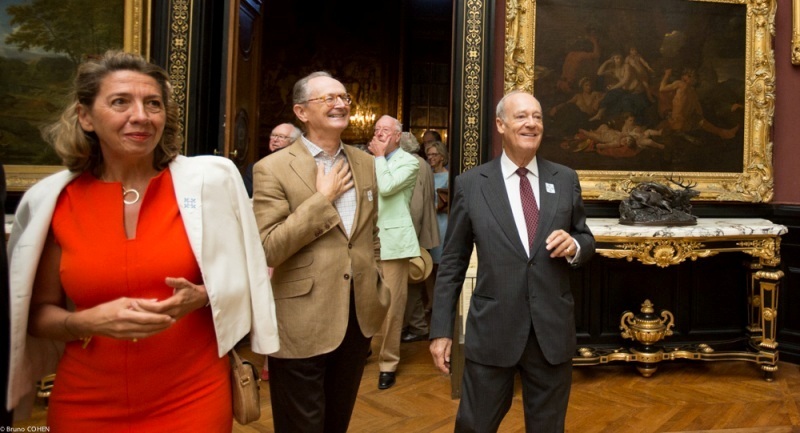 his special occasion served as a wonderful opportunity to highlight the Domaine de Chantilly’s artistic and cultural heritage with individuals from throughout Europe and the United States who possess a wide variety of interests and expertise. The elements that make up the Domaine are exceptional in many ways and are enhanced by a spectrum of prestigious events, including the Chantilly Arts & Elégance car show, the Chantilly Flower Show, and of course, the numerous equestrian competitions – the Prix de Diane (French Oaks), Prix du Jockey Club (French Derby), and exceptionally this October, Prix de l’Arc de Triomphe – that take place against the backdrop of the Great Stables. The guests who were present for this unforgettable outing shared their enthusiasm for Chantilly and were invited to return in the future to experience all that it has to offer. How long have you been working with your elder brother? Always! Thanks to our grandfather, the Aga Khan III. From an early age, we have represented him on many trips. After my studies at Harvard, I worked in the social and economic affairs of the United Nations. This experiment lasted three years. But it is difficult to see the fruit of its efforts in a bureaucratic structure. Then I thought that my brother needed me. Does not your family relationship make it harder for you to work? Our age difference is nine months minus one day. We are practically twin, and I must say that in our professional relationships, this creates a great deal of complicity. 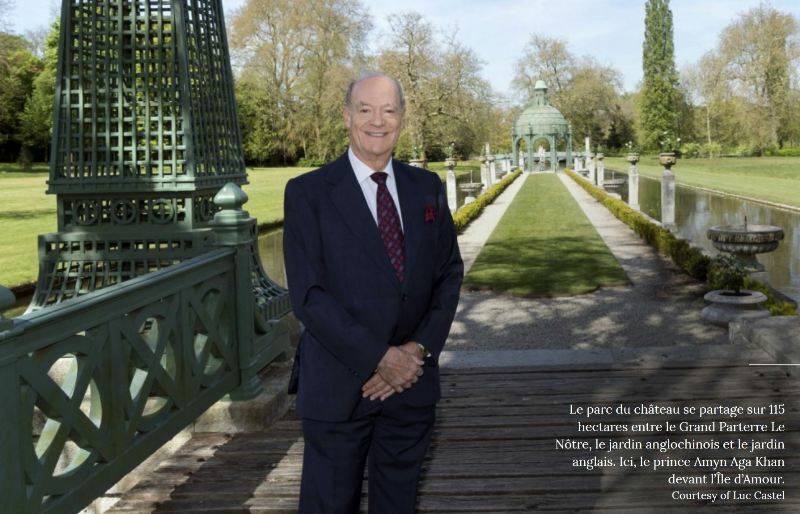 Prince Amyn Aga Khan: "Chantilly est un vrai décor de cinéma"
Il est l’un des principaux acteurs de la Fondation pour la sauvegarde du domaine de Chantilly, créée par son frère, l’Aga Khan IV, en 2005. Soucieux de faire du lieu un incontournable rendez-vous culturel, il y a transféré les légendaires Journées des plantes dont notre magazine est partenaire. Rencontre avec un amoureux de la nature. Il prend place dans un salon de l’Auberge du Jeu de paume, qui jouxte les jardins du château de Chantilly. S’amuse de tout, de son café qu’il va recevoir froid ou de son "modeste niveau" dans les six langues étrangères qu’il parle! Quand il évoque le domaine, son regard pétille toujours mais révèle avant tout les passions d’un esthète. "Chantilly, c’est l’art et la culture!" Quand avez-vous découvert le domaine ? C’était il y a bien longtemps, avant la création de la fondation. Les bâtiments m’ont fasciné. Les grandes écuries sont exceptionnelles. Quant au château, entre ses douves, son méli-mélo de tourelles et ses diverses influences architecturales, il possède un charme de conte de fées. J’admire le jardin de Le Nôtre, ses spectaculaires plans d’eau, son hameau… un vrai décor de cinéma. Cela s’est fait si simplement! 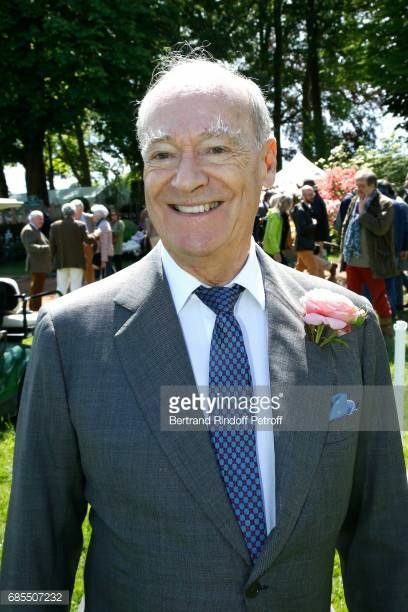 Mon ami Patrice Fustier, propriétaire du domaine de Courson, était membre du conseil d’administration de la Fondation pour la sauvegarde de Chantilly. Son expertise pour la mise en valeur du lieu m’a toujours semblé précieuse. Sa femme et lui trouvaient que les Journées des plantes devenaient un événement trop lourd. En deux phrases, nous avons décidé de les organiser à Chantilly. J’adore ces rendez-vous. Je fréquente Keukenhof, aux Pays-Bas, depuis de nombreuses années. Cette exposition de bulbes est unique et fantastique. Comment a commencé votre implication au sein de la Fondation pour la sauvegarde du domaine de Chantilly? 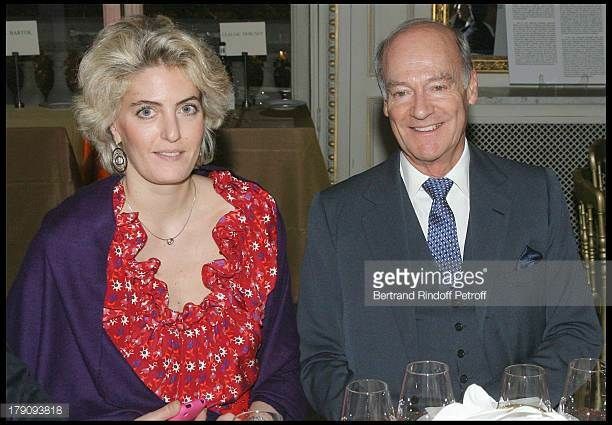 De façon très naturelle, mon frère, l’Aga Khan IV, m’a sollicité, notamment pour former le conseil d’administration, composé de partenaires privés et publics. Je préside aussi un comité culturel et événementiel. Plus il y aura d’événements, comme des expositions temporaires, plus les gens visiteront Chantilly. Depuis quand travaillez-vous avec votre frère aîné? Depuis toujours! Grâce à notre grand-père, l’Aga Khan III. 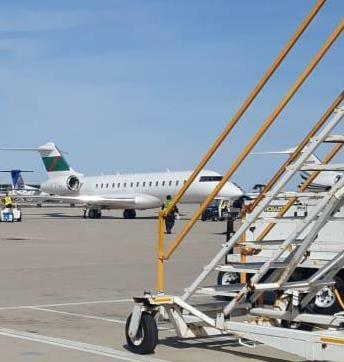 Dès notre plus jeune âge, nous l’avons représenté au cours de nombreux voyages. Après mes études à Harvard, j’ai travaillé aux affaires sociales et économiques des Nations unies. Cette expérience a duré trois ans. Mais il est difficile de voir le fruit de ses efforts dans une structure bureaucratique. Puis j’ai pensé que mon frère avait besoin de moi. Ce lien de parenté ne complique-t-il pas vos relations professionnelles? Notre différence d’âge est de neuf mois moins un jour. Nous sommes pratiquement jumeaux et je dois dire que dans nos rapports professionnels, cela engendre une grande complicité. Quand est née votre passion des plantes? J’ai toujours été entouré de gens qui aimaient la nature, que cela soit en Angleterre, avec ma mère et ses frères et soeurs, ou dans le Midi, avec mon père. Dans la villa du Cannet, chez mon grand-père, l’escalier était une rocaille admirable. Il donnait l’impression d’une cascade de fleurs jaillissant de façon ravissante d’entre les pierres. Puis à New York, dans la maison que je louais, se trouvait un petit jardin laissé à l’abandon. Je m’étais amusé à le recréer. Je n’ai pas eu une enfance urbaine. À Nairobi, où j’ai vécu pendant la guerre avec mes parents, nous avions un jardin. Mon père et moi y avons même planté de la rhubarbe au-dessus des égouts. J’ai appris que cette plante adorait ça! Elle a poussé, je ne vous raconte pas! 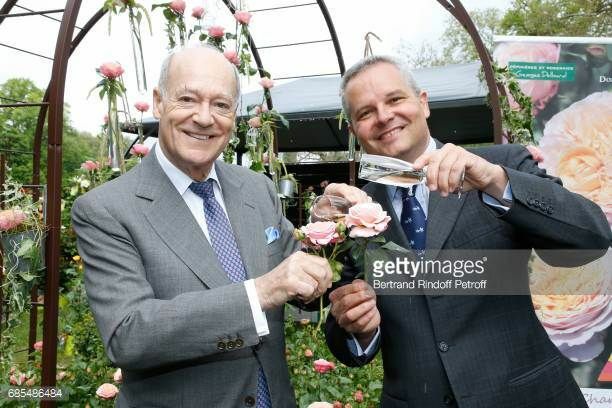 L’horticulteur Delbard dévoilera, lors des prochaines Journées des plantes, la rose "Domaine de chantilly", dont vous êtes le parrain. Que vous évoque ce spécimen? Ses nuances me plaisent beaucoup. À l’éclosion, elle est rose et pâlit jusqu’à l’orangé. Elle n’a rien de quelconque. Elle s’ouvre de façon généreuse en une forme ravissante. 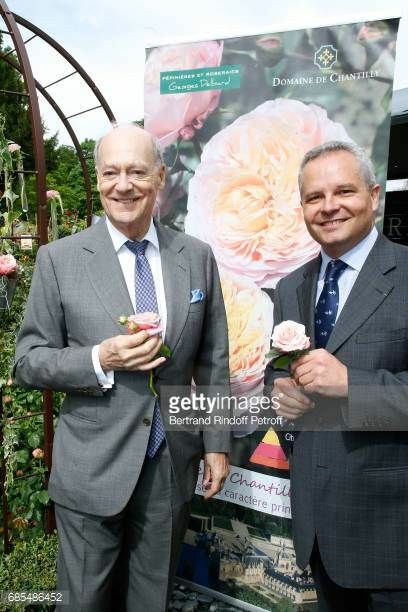 Cette rose, extrêmement parfumée, est aussi robuste et dure longtemps… tout ce que l’on demande à une fleur. La fondation a reçu pour vingt ans la gestion du domaine. Que se passera-t-il ensuite? La gestion reviendra à l’Institut de France, propriétaire de Chantilly. Nous nous attachons pour l’instant à tout restaurer: bâtiments, oeuvres, parcs et jardins. Nous tenterons de préserver l’œuvre entreprise en laissant sur place les structures idoines. Grâce à mon frère, les avancées ont déjà été très rapides. Dans la grande galerie, tous les tableaux et cadres ont été restaurés. Les bâtiments, les canaux de Le Nôtre… le travail accompli est considérable. Pouvez-vous nous parler du Réseau Aga Khan de développement, pour lequel vous travaillez également? C’est peut-être le réseau privé le plus important au monde. Il emploie plus de 80 000 personnes et représente un groupement d’institutions travaillant sur le modèle du multiple input: un projet de développement qui crée des zones d’activités à la fois pour la culture, l’éducation, la santé et l’économie. Le plus connu est celui du Caire, composé d’un plan d’eau, d’un théâtre à ciel ouvert, d’une aire de jeux. Il a remplacé un inqualifiable terrain vague. D’autres jardins ont depuis vu le jour au Mali, au Canada, en Afghanistan, ou encore en Inde. Là où nature et culture se marient, la psychologie des gens s’améliore. Journées des plantes de Chantilly, du 19 au 21 mai 2017. 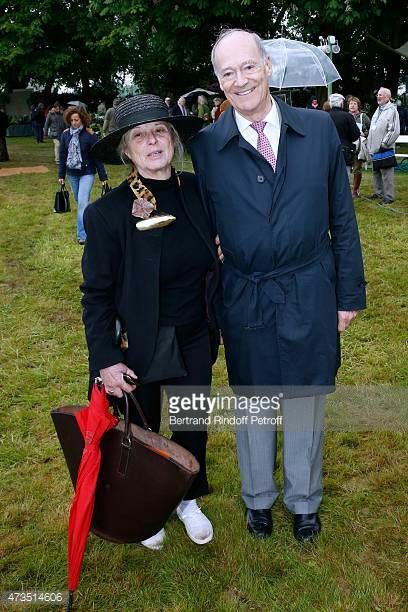 There are exceptional photos from GETTY on the net for Prince Amyn Aga Khan at Chantilly. 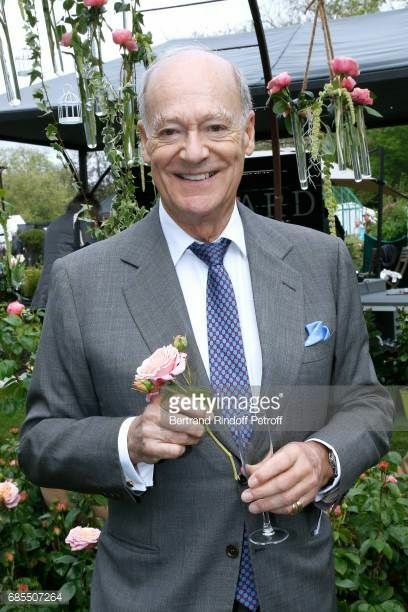 One that we can notice is Prince Amyn with a rose in his hand. 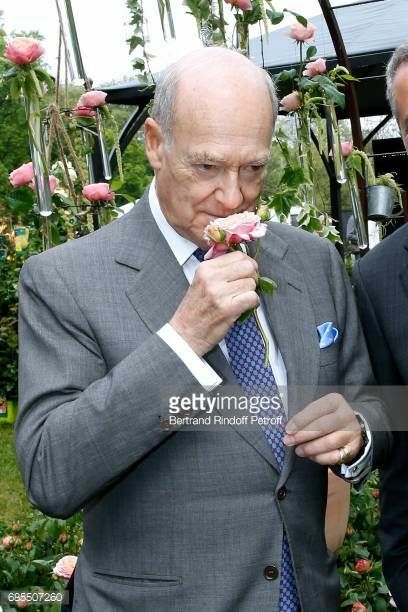 It reminds us of what Mowlana Sultan Muhammad Shah was saying when he was picking one to smell its parfum: "Ah, la rose!" 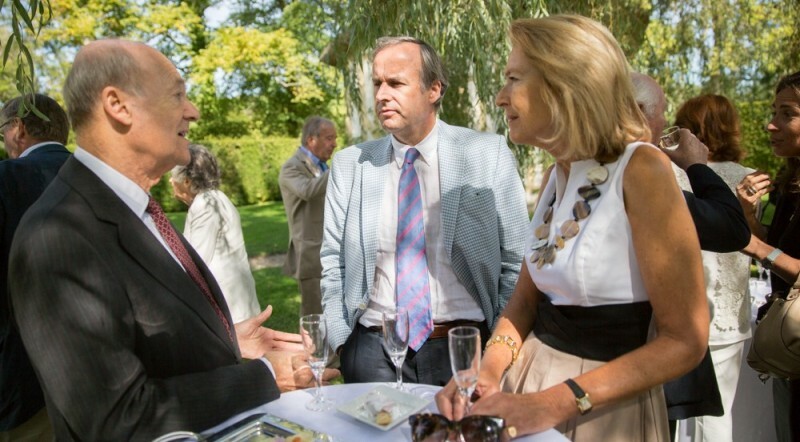 Earlier this week, the Ismaili Leaders’ International Forum (LIF) hosted a special event in Paris to celebrate Prince Amyn’s 80th birthday. In the presence of Mawlana Hazar Imam and members of his family, Prince Amyn was honoured for his long-standing service to the Ismaili Imamat, the Jamat and the Aga Khan Development Network (AKDN). 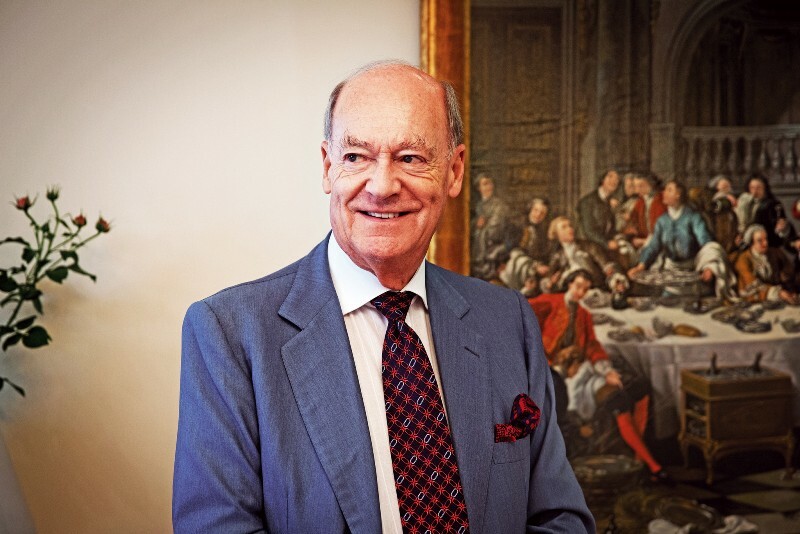 Prince Amyn has been deeply involved in the work of AKDN for a number of decades, particularly in the establishment of the Serena brand of Hotels, and the focus on architecture and the built environment in societies where Muslims have a significant presence. 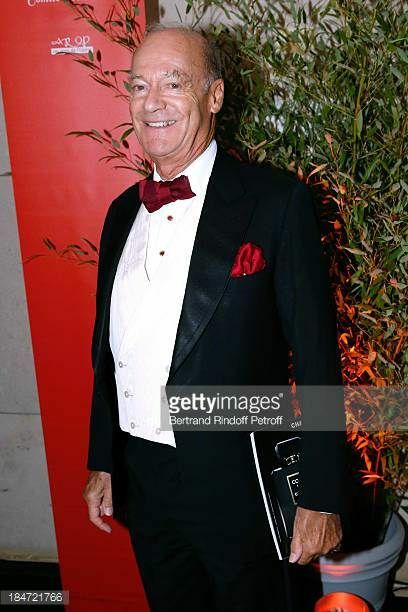 As a connoisseur of heritage, music, and fine art, Prince Amyn has also been active in the inception of both the Aga Khan Music Initiative and the Aga Khan Museum, along with the many parks and gardens commissioned and restored by the Aga Khan Trust for Culture (AKTC). Reflecting Prince Amyn’s love of music, the event concluded with a unique performance of sama, the song and mystical dance of the Mevlevi sufi order. The Meshk Ensemble were present to recreate precious lost pieces of the order, originally penned by the scholar and mystical poet Jalal al-Din Rumi. Prince Headlines Temple of Dendur (No, Not The Purple One). 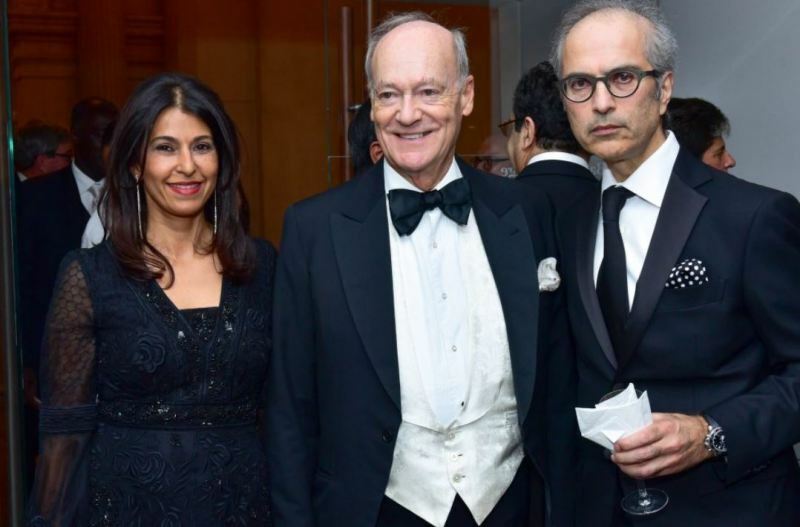 Muslims have gotten bad press lately,” an Ismaili-American gala committee member at one table in the blue-lit Temple of Dendur said with considerable understatement at a gala on Wednesday night. The evening was, she added, a perfect corrective. For once, standard-issue frosted Upper East Side blondes were not in the forefront at a New York City gala benefit. And the range of women’s fashion on display ranged far beyond Madison Avenue looks. After a brief fundraising auction, Prince Amyn spoke eloquently, beginning with a reference to the evening’s keynote spoke, Vartan Gregorian, the Iranian-born Armenian educator and non-profit administrator who has headed the Carnegie Corporation for two decades. 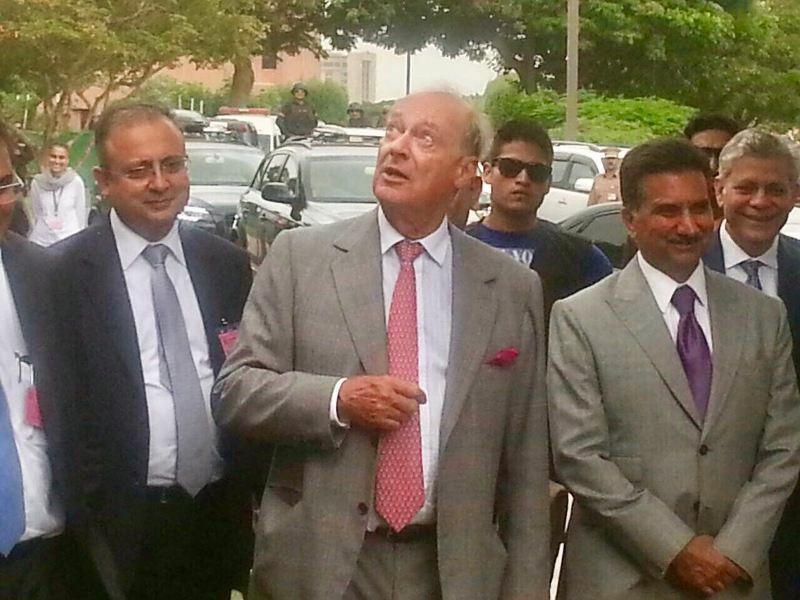 “Vartan told me I would be auctioned, but apparently there were no bids,” the prince joked. Then he turned serious as described how his brother’s philanthropic career began at age 3 1/2, “seventy-seven years ago,” and his foundation began “as a collection of desperate undertakings that were subsequently molded into an important entity dedicated to quality of life in the Third World,” stressing educatioon which “plays the most fundamental role in development.” The rebuke to the fundamentalism that has embroiled the Middle East was implicit. 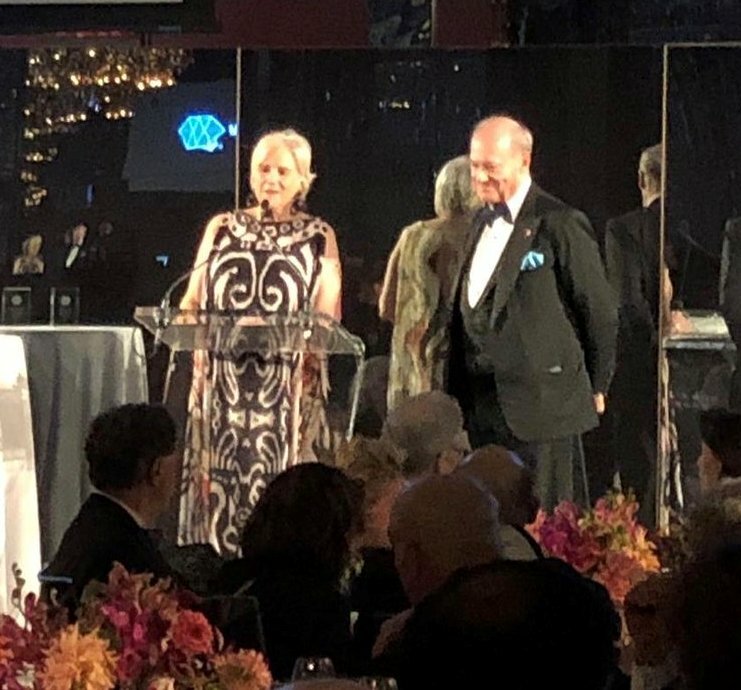 The Gala was co-chaired by Naznin Khimji and Karim Rehmat, M.C.’d by MSNBC’s Ali Velshi, and included a performance by Tony winner and Hamilton star Renée Elise Goldsberry. Among the guests were Mahmood Khimji, Vijay Dandapani, Jack Welch, Pardaman and Sant Singh Chatwal, Dr. Pia Britto, Marco and Alyssa Tablada , Shayne Doty of The Asia Society, Joan Hardy Clark, Navina Haidar, Dr. Barkat Fazal, Dianne Whitty, Kathy Calvin, Matthew Moneypenny, Cece Coffin and Jon Reinish. Sponsors included Blackstone, Highgate and HG Vora and Innovator Sponsors: Gencom, JP Morgan, Innventures, Rockpoint, Westmont Hospitality Group, Local Six, UNITE HERE and New York Trades Council. 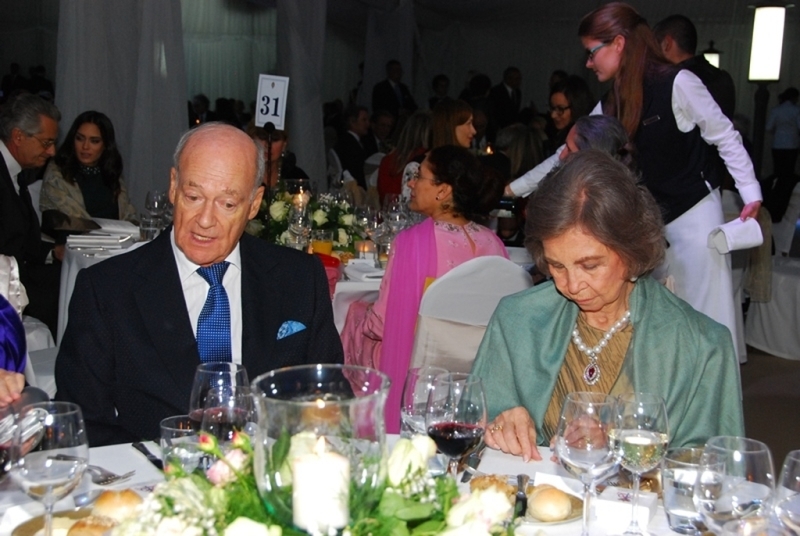 As attendees enjoyed a seated dinner catered by City Kitchen, including braised baby artichoke with labneh salad of arugula, beef short rib and grilled salmon with couscous pilaf, remarks were given by Prince Amyn Muhammad, brother of His Highness Prince Karim Aga Khan, and MFAH director Gary Tinterow, who announced a $1 million gift by the evening’s honorary chairs, The Honorable Hushang Ansary and his wife Shahla, to establish the first permanent fund for the Art of the Islamic Worlds department, along with the acquisition of “Layla and Majnun” tile panel. 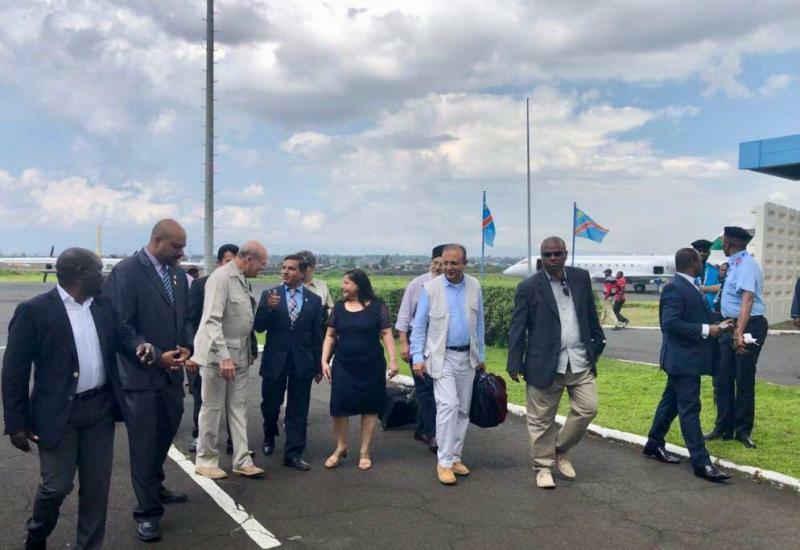 Wednesday Nov. 29, 2017 was a memorable day for the Goma, DRC (Congo) Jamat especially since Prince Amyn Muhammad landed at 10h35am at Goma international airport with the Highness Aga Khan IV personal jet. More on this news later. 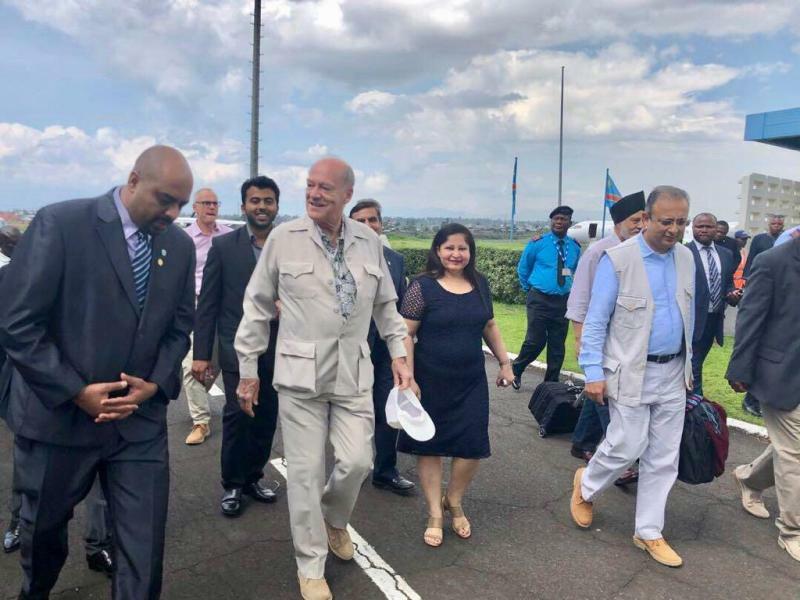 What was Prince Amyn doing in Goma? Aga Khan Fund for Economic Development (AKFED), Industrial Promotion Services (IPS) and CDC Group plc partner to mobilise over US$ 1 billion to enhance power generation in sub-Saharan Africa. 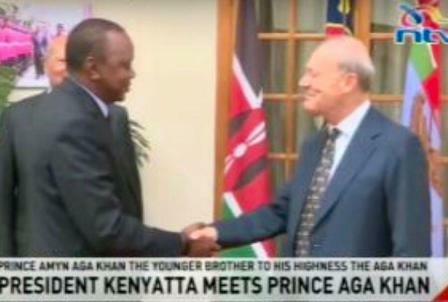 The Aga Khan Fund for Economic Development (“AKFED”), its industrial and infrastructure development arm, IPS, and CDC Group plc, the UK’s development finance institution, today launched a joint power platform that will boost power generation in sub-Saharan Africa, accelerating economic growth and impacting millions of people in the region. The joint platform will house IPS’s existing power projects in Kenya and Uganda, and will focus on new power projects in greater East Africa (including Democratic Republic of Congo (DRC), Mozambique, and Madagascar) and West Africa. The partners will invest US$140m and mobilise project funding of US$1bn for new power projects including the 147MW Ruzizi III project in the Great Lakes region (Rwanda, Burundi and the DRC). 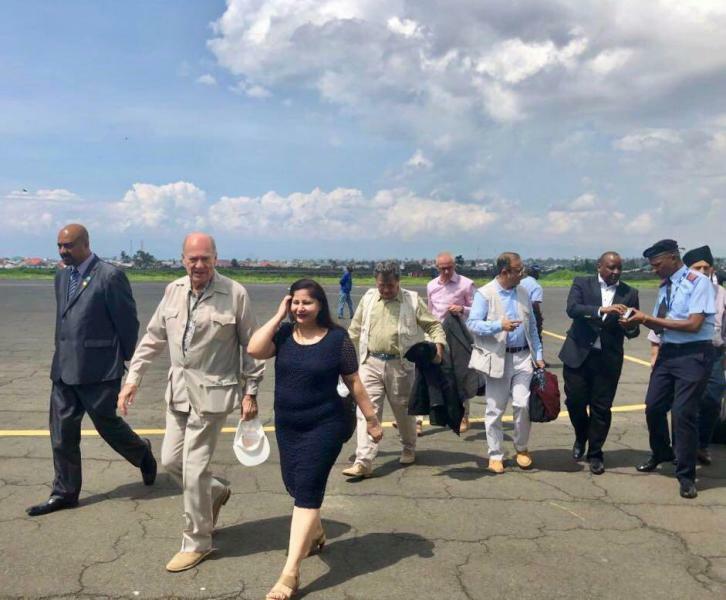 The Ruzizi project is expected to double Burundi’s current capacity, increase Rwanda’s capacity by 26% and provide much needed baseload power in Eastern DRC a region that is otherwise isolated from DRC’s interconnected grid. It will also reduce reliance on thermal (fossil fuel based) generation in these countries. Besides developing regional and national power projects, both IPS and CDC intend to partner on mini and off-grid projects that will directly provide reliable and affordable electricity to rural populations away from regional and national grids. Lutaf Kassam, Executive Director of AKFED, welcomed the partnership: “IPS has been investing and co-developing power projects in West and East Africa for over 20 years. We co-developed sub-Saharan Africa’s pioneering independent power projects in the 1990s and 2000s, namely the Azito power plant in Côte d’Ivoire, the Kipevu II (Tsavo Power) plant in Kenya, as well as the Bujagali Hydropower Project in Uganda. It has been an evolving journey, involving both public and private partners, which has seen a recent shift in focusing investments on renewable energy, taking advantage of advancement in solar and wind technologies, as well continuing to provide the reliable baseload power which many sub-Saharan African countries need. 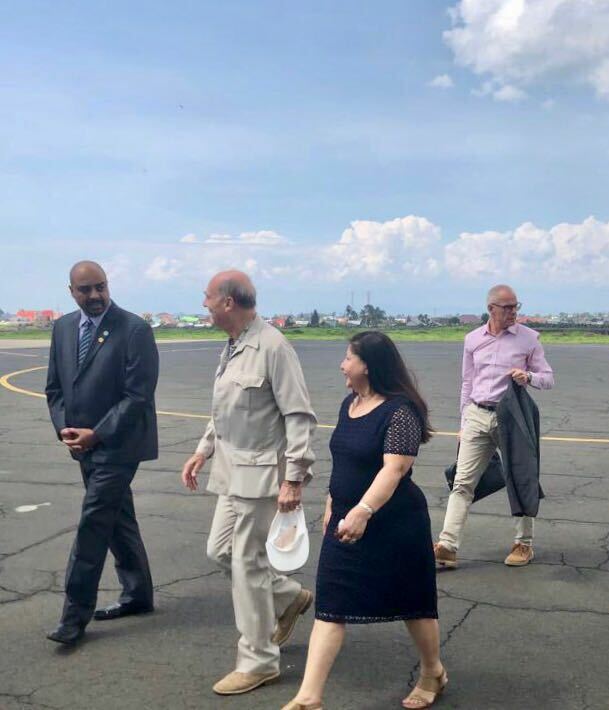 CDC’s Chief Executive, Diana Noble said: “Power infrastructure is vital for Africa’s economic growth and job creation and CDC has identified early-stage development as the area with the greatest need for investment in this priority sector. The market needs long-term, committed investors like CDC and AKFED to bring the capital, time horizons and expertise necessary to boost power generation for the continent. The World of the Fatimids, the newest exhibition at the Aga Khan Museum, launched on 12 March in Toronto. Prince Amyn delivered the keynote address for the opening of the exhibition, which explores the Fatimid period through artefacts and objects from the 10th and 11th centuries. Drawing upon the rich history of the Fatimid civilisation — a nexus of knowledge, culture, and trade spanning the Mediterranean, southern Europe, and the Near East — the exhibition brings together pieces from over a dozen institutions from the United Kingdom, Spain, Greece, and beyond. The World of the Fatimids includes 37 artefacts from the Egyptian Ministry of Antiquity’s collection, including five unfinished marble slabs which are on public display for the first time. In addition, the exhibition features luminous ceramics, intricate rock crystal carvings, Kufic calligraphy, decorated luxury goods, monumental architectural fragments, and drone videography of the site where the original Fatimid court originally stood. Curator Dr. Assadullah Souren Melikian-Chirvani provided further perspective on the intellectual and artistic freedom of the Fatimid era by highlighting the 'staggering diversity of iconography’ and ‘permanence of fun’ in the art of the period. He cited as an example, a bowl featuring an eagle in heraldic posture, a noted royal symbol, where “the eagle actually grins and seems to be laughing like a living cartoon. Here we have a royal symbol which is treated with amusement.” Dr. Melikan-Chirvani added that such expressions were undoubtedly taken with the blessing of the Caliphs, highlighting the tolerance and support of open expression under Fatimid rule. The evening was closed by a special musical performance inspired by the pluralism of Fatimid-era Cairo by the Al-Qahwa ensemble, a quartet of Egyptian, Iranian, Greek, and Hungarian-Irish performers. The World of the Fatimids exhibition is on display at the Aga Khan Museum in Toronto from 10 March – 02 June, 2018. The Indian architect, 90, is this year’s winner of the Pritzker Prize, the prestigious award that’s often called architecture’s Nobel. Dr. Doshi is scheduled to accept the prize at a ceremony in Toronto on Friday night – the first time the global award has been presented in Canada. “In selecting a city, we always look for one that offers vibrancy, livability and diversity,” explained Eunice Kim, the prize’s director of communications. The “architecturally significant site” for this year’s event is the Aga Khan Museum, designed by 1993 Pritzker Prize Laureate Fumihiko Maki. Before the ceremony, “Doshi” – as everyone calls him &#8722; gave a public lecture on Wednesday at the University of Toronto’s Daniels Faculty of Architecture, Landscape and Design. In a conversation about his work and about the Pritzker, which for most of its 40-year history has been associated with high-art architecture, Dr. Doshi, physically slight but nimble, was palpably excited about sharing his ideas – which were more about ethics than about forms. This year, “the prize is going to someone who is expanding the scope of architecture’s usefulness,” he said of himself. Dr. Doshi is best known in the west for his associations with two important figures of 20th-century design, the Swiss-French architect Le Corbusier and the American Louis Kahn. He collaborated with both men, and developed an exchange of ideas, combining Western formalism with local urban patterns and local materials and techniques that suited the local culture and climate. Architecture “cannot only be about the container, but it must always be about the content,” he told me. The background for this view became clear as he spoke about his life and work – subjects which cannot be separated. “I grew up in a big joint family with 25 to 30 people living together,” Dr. Doshi said. “You would see life, you would see death, you would see the world around – life would unfold in the street, and in the temple,” he recalled. This constant change, and the interaction between private life and the city around, animated his sense of the world and of how to build in it, he said. Dr. Doshi explored such ideas through a series of workers’ housing and public housing projects. The 1989 Aranya Low Cost Housing development, in the city of Indore, created a network of streets and courtyards that mimic traditional Indian urbanism – and allow residents to adapt their homes to their needs. The Aranya low-cost housing project by Balkrishna Doshi in Indore, India, accommodates more than 80,000 people through a system of houses, courtyards and internal pathways. In his telling, Dr. Doshi found his path “almost accidentally.” He had expected to enter his family’s woodworking and furniture-making business in the city of Pune; instead he studied art and then, following a suggestion, to study architecture in Mumbai. Within a few years, he had followed a friend to London; talked his way into a meeting of the International Congress on Modern Architecture (CIAM) and promptly met the Modernist guru Le Corbusier, who hired him to work in his studio in Paris. Later, Dr. Doshi worked with the influential Philadelphia architect Louis Kahn. In the 1960s Dr. Doshi brought Mr. Kahn to collaborate on the campus of the Indian Institute of Management in Ahmedabad. Their fusion of Indian traditional architecture, local brick and monumental, abstract forms was and remains powerful: It is adaptable; modern yet sensitive to context, offering places for social encounters and open to the community. And building for the public, with a sense of the public good, Dr. Doshi suggested, is what matters most. “An architect must be an activist and think always of the larger society,” he said. “We do not forget about aesthetics,” he added. “But this idea of an icon. … Think of a mosque or temple or a church – are they not iconic? But are they not also serving something for the society? Veteran architect BV Doshi was honoured with the Pritzker Architecture Prize – the Oscars of architecture – at the Aga Khan Museum in Toronto, Canada on Saturday. He received a bronze medallion (inset), which is based on designs of famed Chicago architect Louis Sullivan. Doshi, the first Indian architect to have received the award, was joined by dignitaries and family. In the picture: Daughter Radhika Doshi, great granddaughter Ananya, business magnate Ratan Tata, and granddaughter Khushnu Panthaky-Hoof. Doshi joins a roster of impressive, if not legendary names among architects who have won the Pritzker since it was established in 1979, such as Zaha Hadid, Rem Koolhaas, Frank Gehry, IM Pei and Oscar Niemeyer. For Prof Balkrishna Doshi, there is a sense of fulfilment: After over six decades of inhabiting the space, he received the field’s highest honour, the Pritzker Prize at a ceremony in Toronto, making him the first Indian to be awarded the so-called ‘Nobel of architecture’. Doshi, who was born in Pune and lives in Ahmedabad, has collected numerous accolades during his distinguished career but the Pritzker is special since it also brings recognition to Indian architecture. “That will be extremely significant in the Indian context because architecture as a profession doesn’t have a kind of status in India today except marketing. I mean, architect is synonymous with developers. “First time, there is the recognition that architecture is a discipline which is extremely important in a civilised society. So there will be respect for architecture,” he said. His work is described as a “symphony”, engaging the elements. Among his multiple endeavours are the Aranya low-cost housing project in Indore, the Indian Institute of Management in Bangalore, Centre for Environmental Planning and Technology in Ahmedabad as well as “cultural spaces” such as Tagore Memorial Hall and the Institute of Indology, also in that city, as well as his own studio, Sangath. He continues to be with Vastushilpa, the consultancy he founded. Doshi is hopeful this award will have a “long-lasting impact” rather than one that is momentary. As India looks for affordable and quality housing for its population, there is a role for creative solutions. 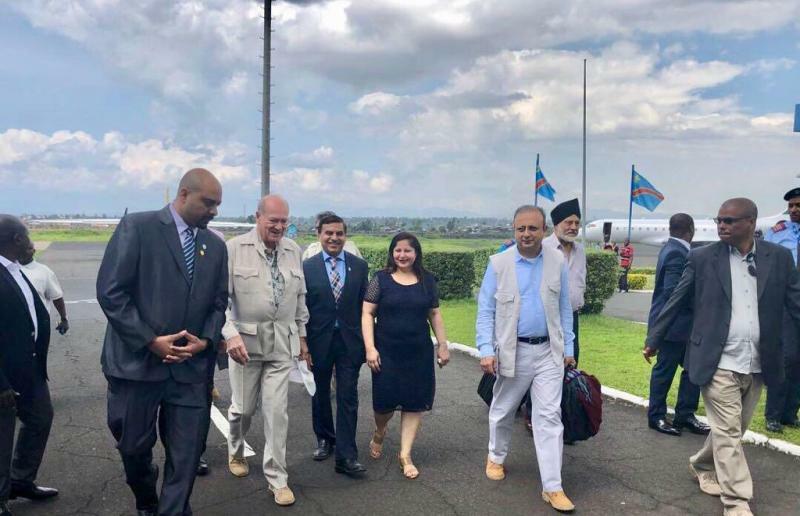 “In the condition in which we are now, talking about urbanisation, planning, rural development, economy, employment, this is the discipline through which other countries have worked and taken their guidance,” he said. World Monuments Fund will honor Prince Amyn Aga Khan, of the Aga Khan Development Network, and Dr. Eusebio Leal Spengler, historian of the city of Havana, Cuba, at the 31st annual Hadrian Gala at the Rainbow Room in New York City on Tuesday, October 23, 2018. 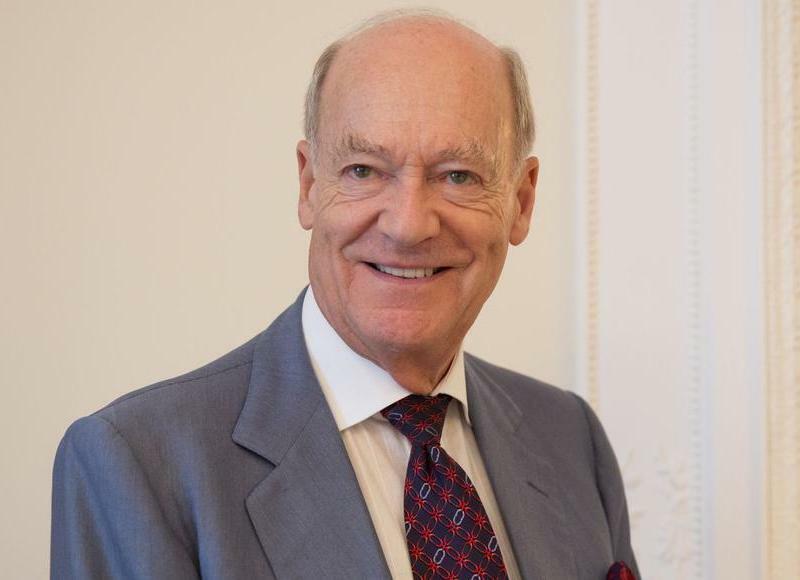 Prince Amyn Aga Khan will receive the Hadrian Award in recognition of his lifelong support of cultural heritage in all its forms. 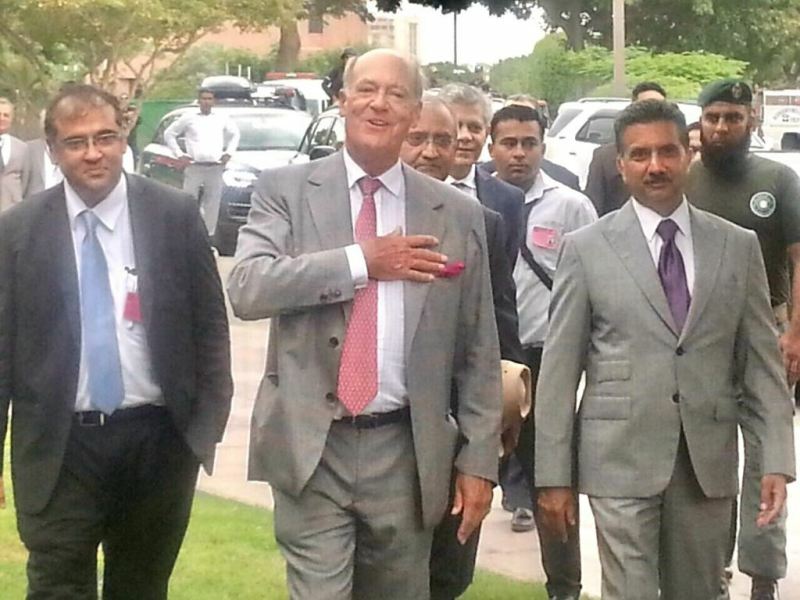 Prince Amyn holds multiple leadership roles within the Aga Khan Development Network—a group of development agencies with mandates that include the environment, health, education, architecture, culture, tourism, microfinance, rural development, disaster reduction, the promotion of private-sector enterprise, and the revitalization of historic cities. 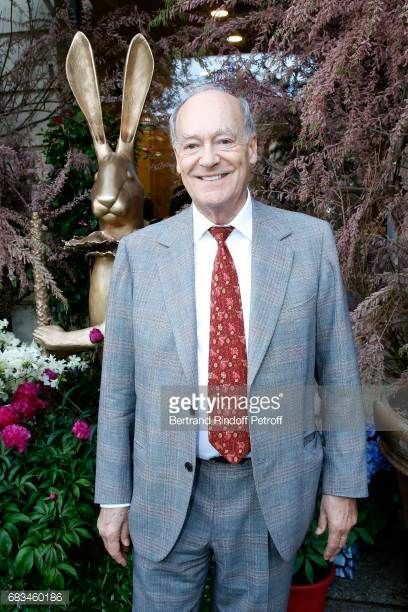 Among many board and committee positions at cultural institutions around the world, Prince Amyn has served as a trustee of World Monuments Fund since 1997. 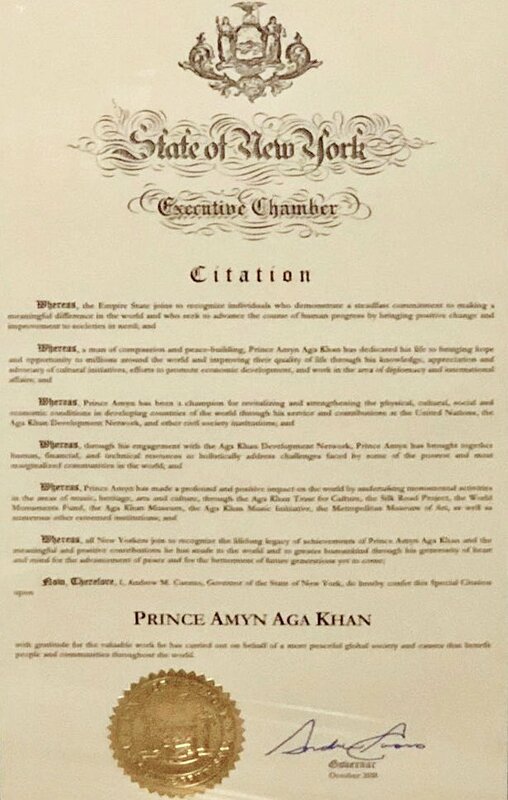 2018, October 23: Prince Amyn Aga Khan has been honoured by the World Monument Fund with the Hadrian Award in a ceremony held in New York. 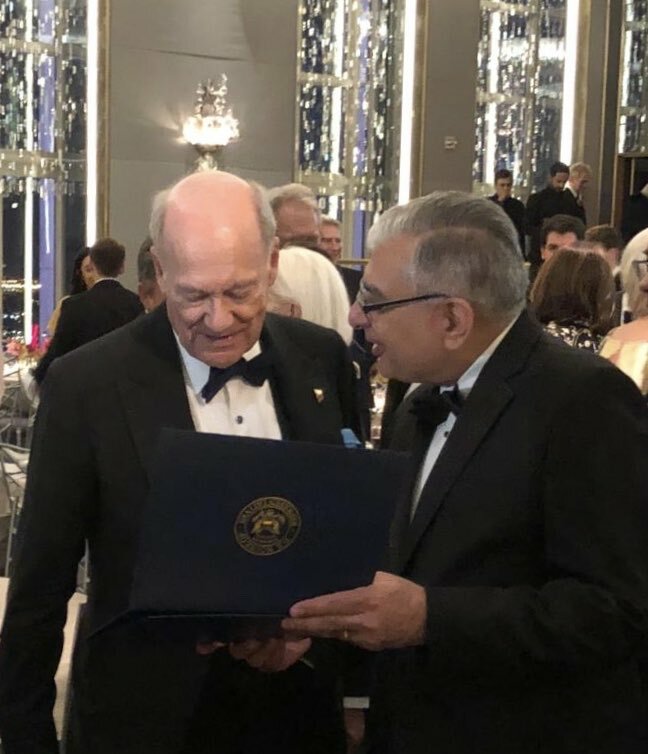 New York, NY, USA, 23 October 2018 - The World Monuments Fund tonight honoured Prince Amyn Aga Khan, and Dr. Eusebio Leal Spengler, historian of the city of Havana, Cuba, at the 31st annual Hadrian Gala held at the Rockefeller Center Plaza in New York City. 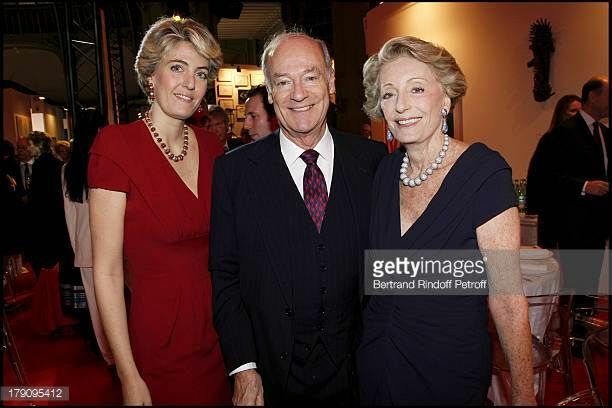 23 October 2018 - World Monuments Fund’s video tribute to Prince Amyn Aga Khan at the 31st annual Hadrian Gala in New York, USA. Lorna B. Goodman, Chair of the World Monuments Fund, presents the 2018 Hadrian Award to Prince Amyn. 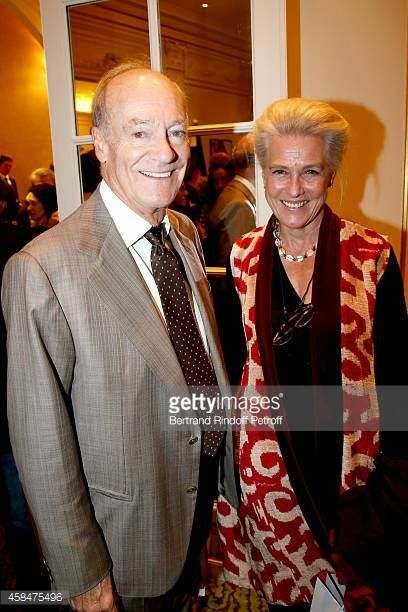 In addition to the many leadership roles Prince Amyn has held within the Aga Khan Development Network, and the several board and committee positions he has held at cultural institutions around the world, Prince Amyn has also served as a trustee of World Monuments Fund (WMF) since 1997. The Hadrian Gala also honoured Dr Eusebio Leal Spengler for his contributions to the preservation of the historic center of Havana, Cuba. Dr Leal has served as the historian of the city of Havana since 1967, and is responsible for the comprehensive rehabilitation of Havana’s historic center, which is inscribed on the World Heritage list. Prince Amyn Aga Khan receives the Hadrian Award in recognition of his lifelong support of cultural heritage in all its forms. 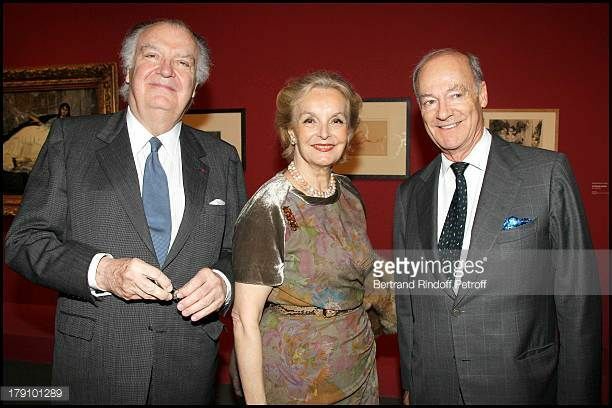 Prince Amyn Aga Khan received the Hadrian Award for his lifelong support of cultural heritage in all its forms. Prince Amyn holds multiple leadership roles within the Aga Khan Development Network — a group of development agencies with mandates that include the environment, health, education, architecture, culture, tourism, microfinance, rural development, disaster reduction, the promotion of private-sector enterprise, and the revitalization of historic cities. 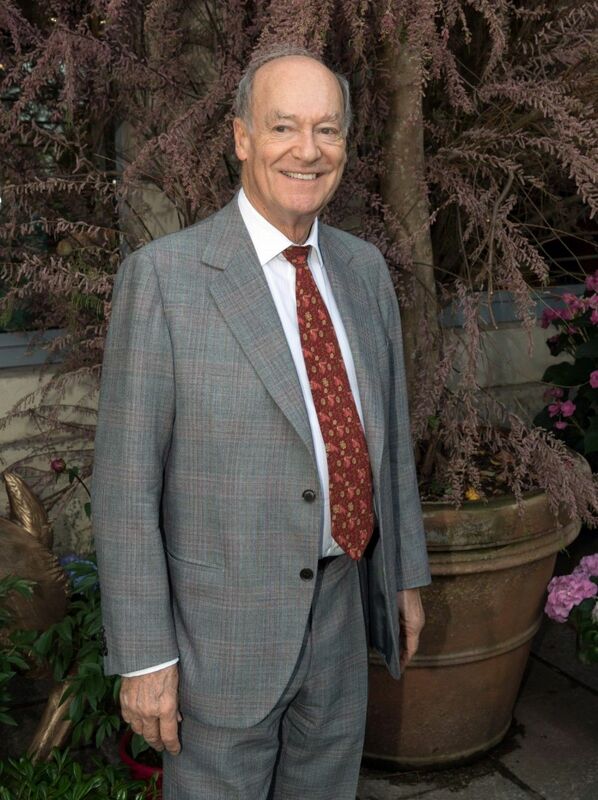 Among many board and committee positions at cultural institutions around the world, Prince Amyn has served as a trustee of World Monuments Fund since 1997. Dr. Eusebio Leal Spengler received the Hadrian Award 2018 for his unmatched contributions to the preservation of the historic center of Havana, Cuba. “Dr. Leal has served as the historian of the city of Havana since 1967, and is responsible for the comprehensive rehabilitation of Havana’s historic center, which is inscribed on the World Heritage list. He is a professor, honorary professor, or professor emeritus at more than thirty prestigious universities, and has received the highest honors, medals, and commendations issued by countries around the world,” states the press release. 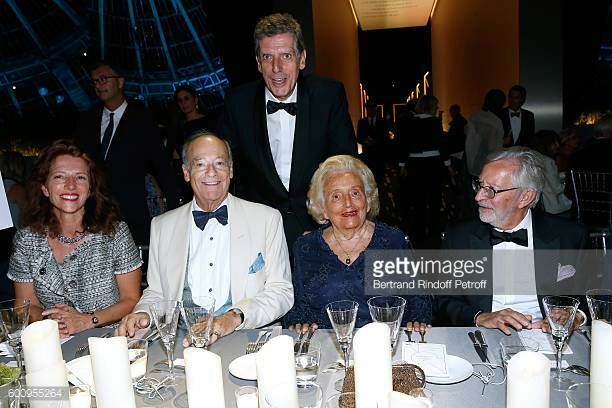 WMF’s 2018 Hadrian Gala was hosted by Dinner Chairs Tony Bechara, Brook and Roger Berlind, Linn and Robert Feidelson, Lorna and Edwin Goodman, Fernanda M. Kellogg, Monika McLennan, Christopher Ohrstrom, and Jack Shear. World Monuments Fund’s Hadrian Gala is held every year to honor champions of conservation for their passionate commitment and extraordinary contributions to preserving and protecting the world’s shared cultural heritage. Previous Hadrian Award honorees include: Deborah Lehr (2017); The Stavros Niarchos Foundation (2016); Her Majesty Queen Sofia of Spain (2015); Mica Ertegun (2014); Roberto Hernandez Ramirez (2013); Kenneth I. Chenault, Chairman and CEO, American Express (2012); Jo Carole and Ronald S. Lauder (2011); Ratan Tata and the Tata Family (2010); and many others. 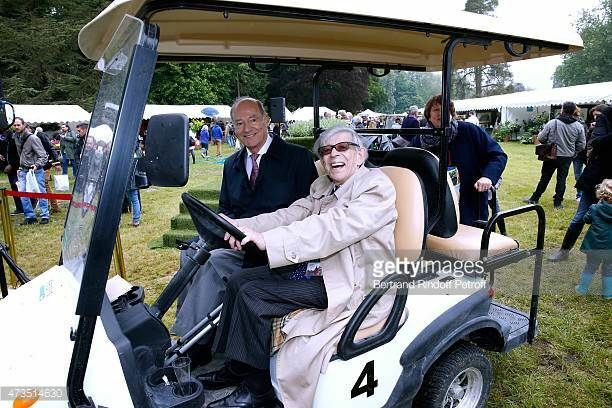 The Chief Scout of the Ismaili community Prince Amyn Muhammad, Aga Khan, celebrated his 81st Birthday on 12 September 2018. The Aga Khan Scouts and Guides of the UAE commemorated this day with a day full of celebrations, where there was volunteering activities and a cake-cutting ceremony. Jamati leaders distributed certificates for achievement, and a film was screened highlighting the major events of 2018 thus far. AKSG Cubs, Brownies, Guides, Scouts, Senior Guides, Rovers and Leaders from across the UAE participated, dressed in their uniforms and surrounded by many proud parents and Jamati leaders. Over the past year, team-building activities have included a Happiness Fit Session, the Bird Feeding Campaign, cooking competitions, the AKSG Sports day, and Human Football. Highlights of the events in the community included volunteering and band playing at the ‘Emirates NBD Unity Run', ‘Clean-Up UAE Campaign’ and 'National Day Celebrations'. The AKSG were filled with pride as they watched some of their members playing in the band in Lisbon for the Diamond Jubilee celebrations in July. In addition to team building, AKSG members work on personal skills development under the guidance of AKSG Leaders and professionals as per the World Scouting and Guiding Proficiency badge courses for which they earn badges upon successful completion of each course. Robert Baden-Powell founded the Scouting movement in England in 1907, with the intention of supporting young people in their physical, mental and spiritual development through an informal education system. Scouting and Guiding fosters ethical and selfless practice through giving, and therefore, matches well with the social enterprise and charitable giving advocated by the Ismaili faith. “Scouting and Guiding is about learning leadership skills, physical development and life skills from peers, leaders and professionals through intellectual and fun activities. It teaches us compassion as we render generously our time and help to those in need,” explained the Group Commissioner, Asif Morani. 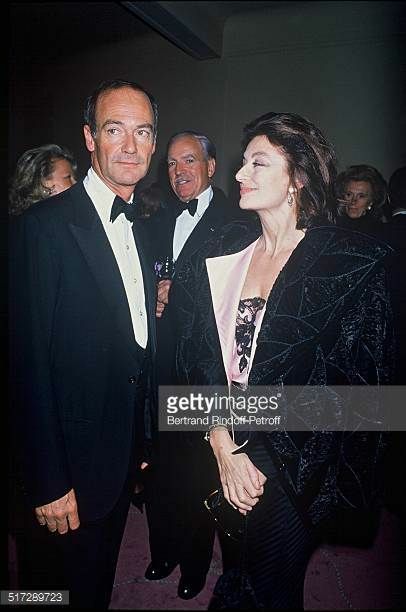 Prince Amyn attended an event at the Aga Khan Museum on 22 November, where a new donor wall was unveiled to acknowledge friends, patrons, and supporters of the Museum. His remarks were followed by the formal unveiling of the donor wall by Prince Amyn. The large wall is installed by the auditorium entrance, parallel to the courtyard glass wall. The wall was designed to uphold and complement the elegant and timeless architecture of the Museum itself. The wall currently consists of 142 recognitions and will undergo ongoing updates to recognise continuing donor support. Porque é que a Rede Aga Khan para o Desenvolvimento (AKDN) resolveu criar este prémio de música? Penso na música como sendo um fenómeno internacional e considero que a manutenção das culturas musicais em todo o mundo é muito importante. A música requer uma dedicação em full time. Os povos viajam como sempre o fizeram e levam com eles as suas histórias, vozes e a sua música. Já temos um grande prémio de arquitetura e achei que podia criar outro de música. O que é a música? É aquilo que nos une a todos. A música trata da emoção, trata de sonhos. Isto acontece com pessoas de todas as raízes sociais. Basta pô-las juntas num concerto e ver-se-á que todas reagem à mesma música. Talvez de formas diferentes, mas reagirão. Porque é que precisamos de música? A vida sem música seria muito triste. Felizmente ela está em todo o lado. Os pássaros fazem música, estamos rodeados por ela. O homem sempre viveu com música. A linguagem da música é a linguagem das emoções, dos desejos, da alegria e da tristeza. Qual é o grande objetivo desta iniciativa? Em primeiro lugar, premiar os melhores artistas, tanto no que diz respeito à performance como no que diz respeito à criação. Mas espero também que seja capaz de estimular músicos mais jovens a trabalharem em novos espetáculos, pois, à medida que forem viajando, hão de encontrar novas tradições musicais e criarão uma terceira tradição. Porque escolheu Lisboa para acolher a primeira edição dos Aga Khan Music Awards? Por um lado, devido aos acontecimentos ocorridos no ano passado durante as comemorações do jubileu do meu irmão, e por outro porque quero fazer parte da vida cultural lisboeta. O fado também me parece uma música de sabor islâmico e isso é uma boa razão para levar a diante este festival em Lisboa. Como olha para Portugal? Terá com o país uma relação de longo termo? A AKDN vai também criar uma Academia em Lisboa. Que áreas culturais serão beneficiadas? A música fará parte do programa para crianças desde a mais tenra idade, mesmo na primeira idade de desenvolvimento. Criar música, fazer música é a forma como elas aprendem a aprender. E aprendem que aprender pode ser divertido e terão disso sempre uma boa memória. A música é uma das suas paixões? Sim. Fui um músico amador. Piano. Frequentei o Conservatório de Música de New England, em Boston, ao mesmo tempo que estudava em Harvard. Sim. Mas fui aceite também em economia, gestão empresarial, direito, ciências e arte. E como ninguém queria ir para ciências e arte, resolvi ir eu. Foi importante para a sua vida? Toda a educação é importante. Educação é quando nos colocam uma mala na mão e vamos pondo lá dentro o quanto feliz somos. Porque se juntou ao seu irmão? Sempre fomos uma equipa. Desde crianças mesmo. Crescemos no leste de África e fizemos tudo juntos a partir dos três anos de idade. O meu avô mandou-nos aos dois em várias viagens. Fomos a muitos lugares de África, fomos ao Paquistão, à Índia, etc. Portanto, era natural estar ao lado dele. E pensei, logo nessa altura, que se podia ser uma ajuda sê-lo-ia. Como é que tem tempo para concretizar todos os seus afazeres? Tento, apesar de todos os deveres, ter espaço para os meus interesses pessoais e culturais e ter uma vida. Vou a espetáculos de música, vejo exposições. Supervisiono a obra de instituições concebidas para salvar o património. Sou amigo do Yo-Yo Ma e tenho sido diretor do seu Silk Road Project. Voltando aos Prémios AKMA. Porque escolheu a música de expressão islâmica para ser a galardoada? Começámos por apoiar a música que mantinha a tradição nos seus próprios países, nos casos em que nos parecia que essa música estava em vias de se perder. A ideia é premiar alguns jovens músicos que tocam os instrumentos tradicionais. Internacionalizar a sua música e fazer com que ela não só seja preservada, mas também alvo de novas criações. Se premiarmos uma composição, sabemos que vários músicos a irão tocar e que por isso ela se vai alterar à medida que for sendo tocada. Isso é inová-la. É como um frigorífico no qual se conservam coisas e também se adicionam outras. Consegue escolher uma área artística como sendo a sua preferida? Gosto de todas elas. 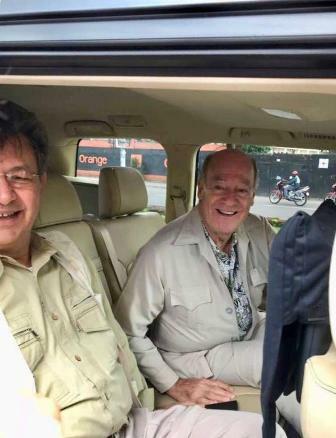 Foi por isso que dei um grande empurrão para que a Rede Aga Khan para o Desenvolvimento se estendesse à música. Não me parecia certo que a AKTC [Aga Khan Trust for Culture] fosse só arquitetura, que é como se vive, queria também que fosse música, que é como se sonha. Em que outras áreas culturais pensa vir a intervir em Portugal? Na pintura, por exemplo. Doámos agora duas pinturas ao Museu Nacional de Arte Antiga e uma ao Museu Nacional Soares dos Reis. Pinturas que estavam no palacete que é agora a nossa sede, em Lisboa. Achei que devíamos dá-las e o meu irmão concordou.